I'm stalking Reflect Media Group! Every product they release solves so many of my problems! 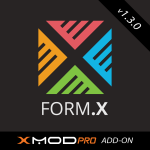 Patrick's expertise with XModPro and his vision for extending it capabilities combine to make an easy to configure, high functioning module. The recipes and user friendly documentation are a bonus. I only wish I had this module a long time ago! Great product! Easy to install and use! Does exactly what I need! Great product, easy to install and use. Thank you so much Jen! Appreciate you taking the time to share your review!!! I've purchased several iterations of this. It's easy and integrated and awesome! Wow what a great idea! Such a time saver and cost effective! What a great idea! I've always wanted this module but never knew I did until I used it! Only glitch is adding custom CSS. Otherwise, this works well for anyone not knowing CSS or in my case too lazy to work it out! 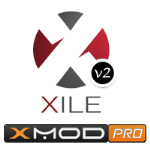 Great module, easy to install and use. Fast response time from support, too. Nice inexpensive and does the job! Best part was the fast response helping me when I had issues with the module. It would be cool to have a way to style it more, like with CSS but I can do that manually. Great value! Simple module to install and use. Evotiva is very responsive to support questions. I had a question with something that they ended up fixing with an update within a few hours of my request! Right around the holidays, too!